Shaquille O’Neal got Lakers fans all excited earlier this week when he told TMZ Sports that Kobe Bryant was preparing to make an NBA comeback. But obviously this is not going to happen. If you don’t believe it, just ask Kobe’s wife. 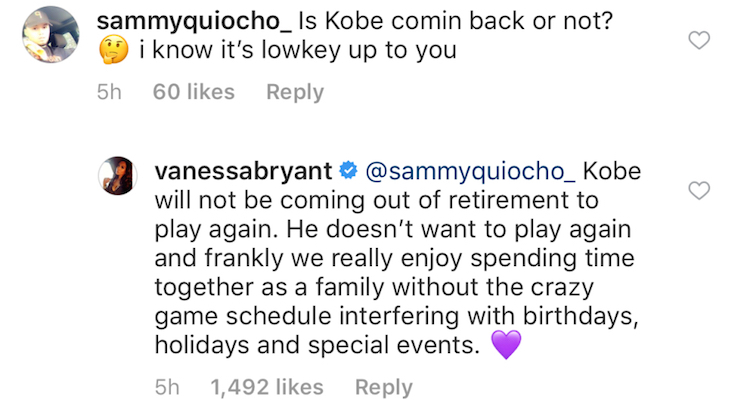 In a response to a fan’s comment on one of her Instagram videos this week, Vanessa Bryant made it perfectly clear that there is a 0% chance her husband makes an NBA comeback. 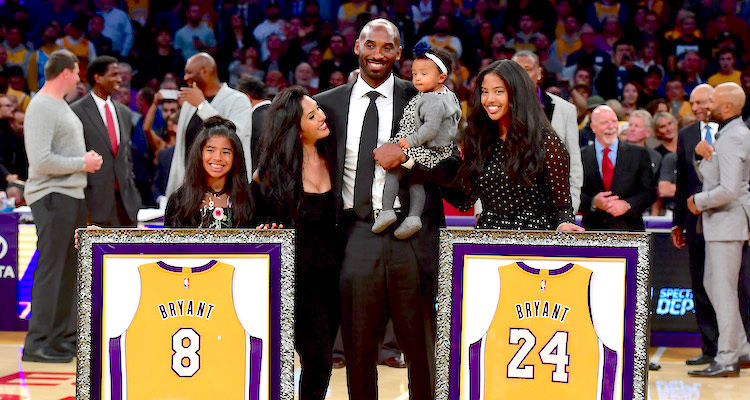 Of course, Kobe isn’t spending all of his free time with Vanessa and the kids. Back in February he won an Oscar for the animated short film about his life in basketball. Now he’s apparently producing sports-themed podcasts for kids and writing young adult fiction that he describes as a combination of Harry Potter and the Olympics. Anyway, point is, Kobe does not have time for basketball anymore.